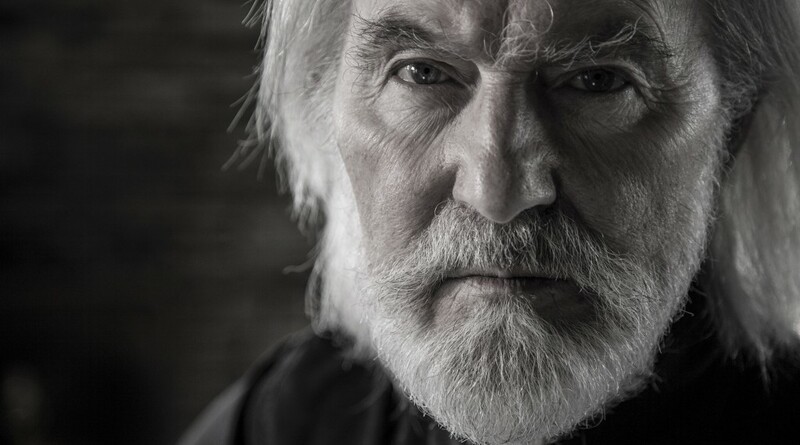 Bella Union are thrilled and honoured to announce the release of Man And Myth, the new album from ROY HARPER, which will be available 23rd September via the label. Man And Myth, Roy’s first studio album in 13 years, isn’t just proof that one of the leading, most erudite and passionate orators of the British folk rock renaissance hasn’t lost an iota of his gifts, but also timely evidence for anyone who has wondered why so many musical luminaries have been lining up to praise this enigmatic and legendary singer-songwriter. Four of the seven tracks that constitute Man And Myth were recorded with Jonathan Wilson at his studio in Laurel Canyon. The recently discovered keeper of the West Coast rock flame had been assembling a Harper tribute album and the two struck up a friendship after meeting backstage at Wilson’s show – Bella Union boss Simon Raymonde was also present – at London’s Borderline in 2012. ‘Heaven Is Here’ and ’The Exile’, the album’s epic closing tracks, and ‘January Man” were subsequently recorded back in County Cork. Man And Myth is incontrovertible proof to everyone of Roy Harper’s persisting brilliance, with many hallmarks of what has singled him out since his first album 47 heady years ago. For the full backstory / biog visit Roy’s official website. Roy Harper: Man & Myth – out now!! !